The Exotic Vehicle Wraps crew is fortunate enough, to be the first, to help jump-start the XIX3D revolution. This groundbreaking program is the first of it’s kind and is destined to change the “Wrap World”, as we know. You may be wondering, “What is the XIX3D?”. 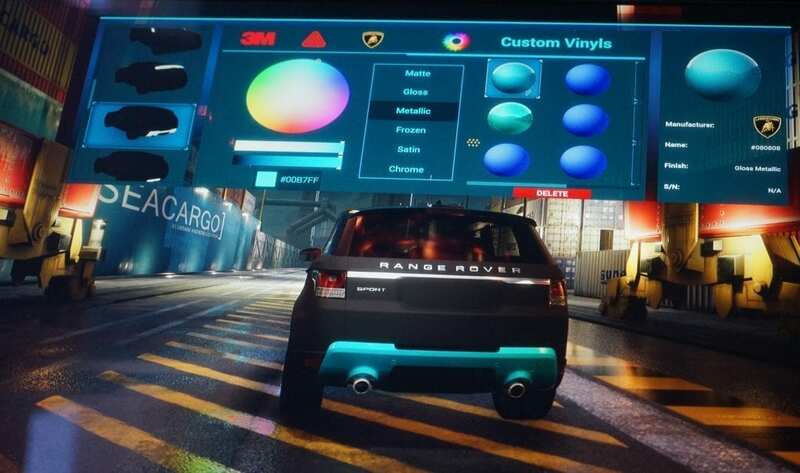 The XIX3D is a Virtual Wrap Configurator, or more simply put, a computer system which wields the power and control of virtual reality and provides hundreds of car makes and color swatches, to give a real-life feel to vehicle modifications and restyling mockups. It’s sleek and modern interface provides an easy and self-explanatory experience, for the most novice of users. In this blog, we will discuss the endless possibilities for this revolutionizing program. To better understand the XIX3D, we need to break down some of the many functions it brings. Once you start up the XIX3D and log in, you will be taken to the main board. This is when you will be prompted to begin your experience. The main menu board provides four main buttons that contain all the features and edits for your vehicle of choice. The full touch screen and fluent display allows you to choose your angles and zoom to see even the finest of details. First, you will select your car make and model. 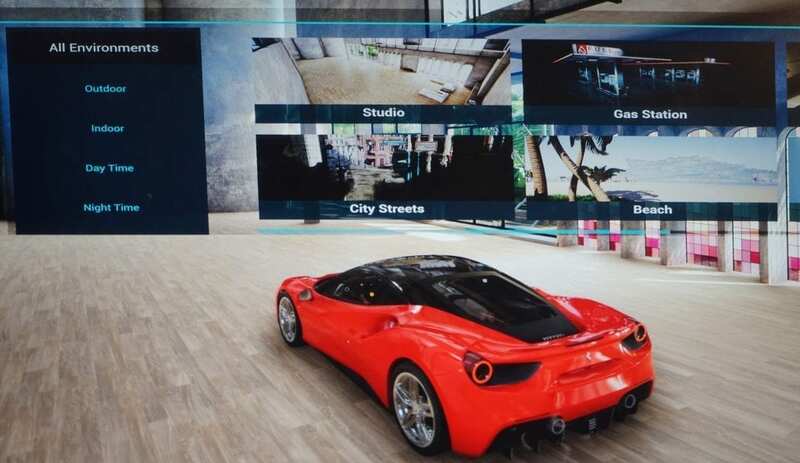 The XIX3D has a wide variety of luxury and standard cars in an impressive gallery of favorites, such as: Lamborghini, Ferrari, McLaren, Aston Martin, Tesla, etc. Once you have selected your make, you then are given a large menu of the model of car. The XIX3D does not just have a list of names, it provides digital renderings of the models! 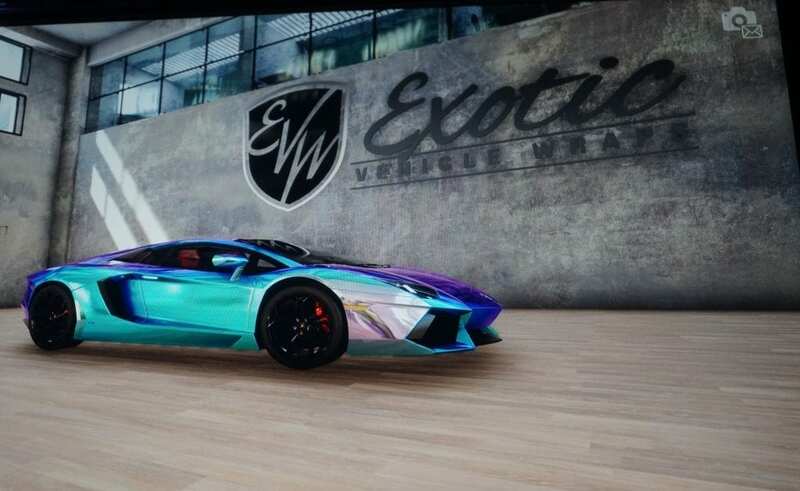 Once you have selected a make and model, the car will appear in a custom Exotic Vehicle Wraps “studio” environment, or other environments of your choice! The environments range from a difference of night and day, and add a realistic look to your car being inside or outside. The day time environments include a custom EVW studio, a tropical beach, and the rugged streets of Great Britain. 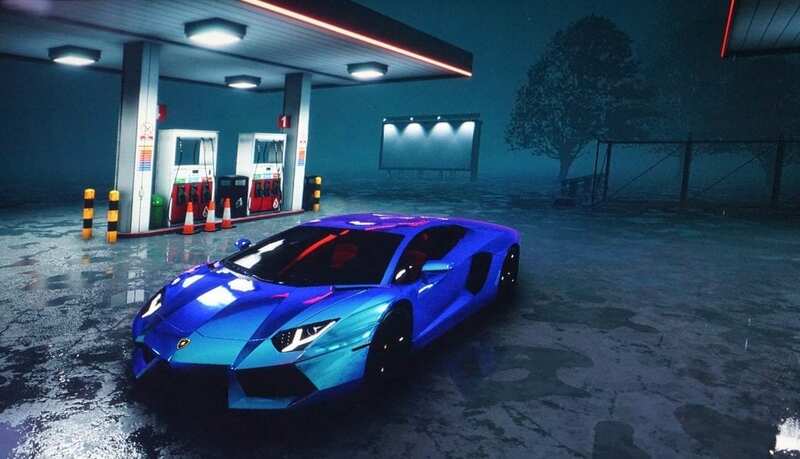 The night time environments include a shipping dock, a gas station, and a luxurious showroom. On the bottom right of the menu bar, there is a gear icon. Once you click the gear, it will take you into a live rotational view of your vehicle. The slow rotation allows you to be able to study parts of the vehicle, along with giving you the full view of each angle of the vehicle. It also adds for a nice video display of your newest creation. If you like the final product, you can select a screenshot option. 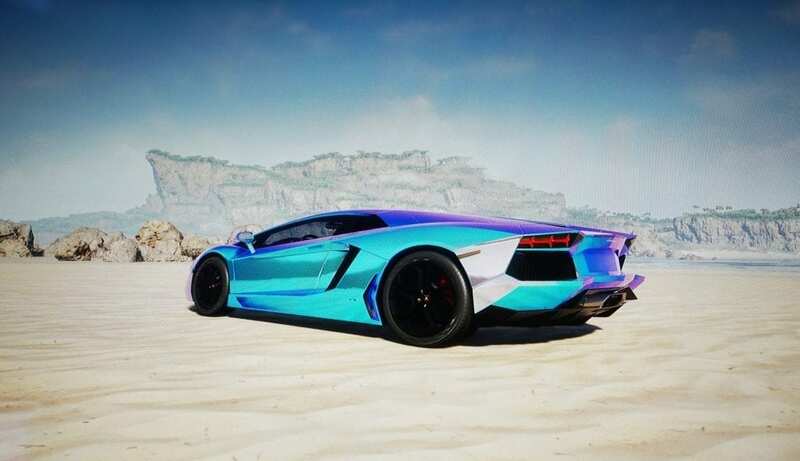 The screenshot takes six pictures of your car all from different angles, giving you the full view while adding the look of a professional shoot. No need to pull out your cell phone to take pictures of the screen either. The screenshot emails the photos to your personal email! There is incredible attention to detail, in each part of the XIX3D; and it is only just the beginning. 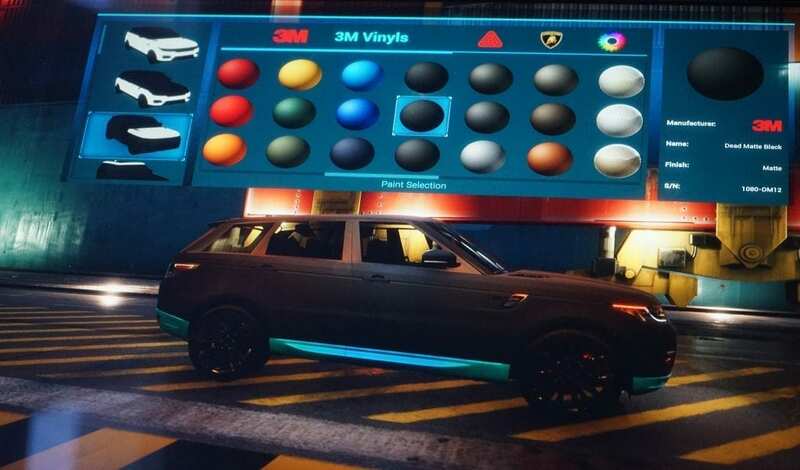 One of the most impressive features of the XIX3D, that we found; is the thousands of color variations you can apply to multiple parts of your vehicle. It provides swatches displayed in a three-dimensional sphere that shows a color swatch and even includes a highlight and a shadow of the color. Some of the vinyl color swatches come from our most trusted brands. The vinyl brands it features are 3M and Avery Dennison Vinyl featuring matte, chrome, gloss, metallic, frozen, and satin vinyl swatches. It also includes OEM colors, and even an option for custom color swatches. Once your preferred vinyl is selected, you will then be able to see, on the left, a list of certain components to adjust. 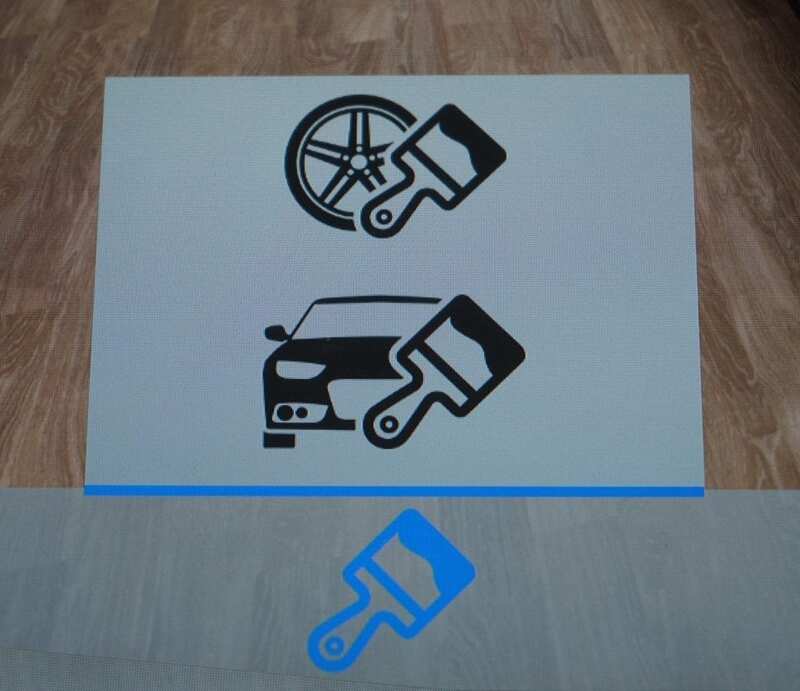 The range of editing ability is truly astonishing, giving you the ability to visualize what even a small bit of vinyl will bring to the look of your vehicle. 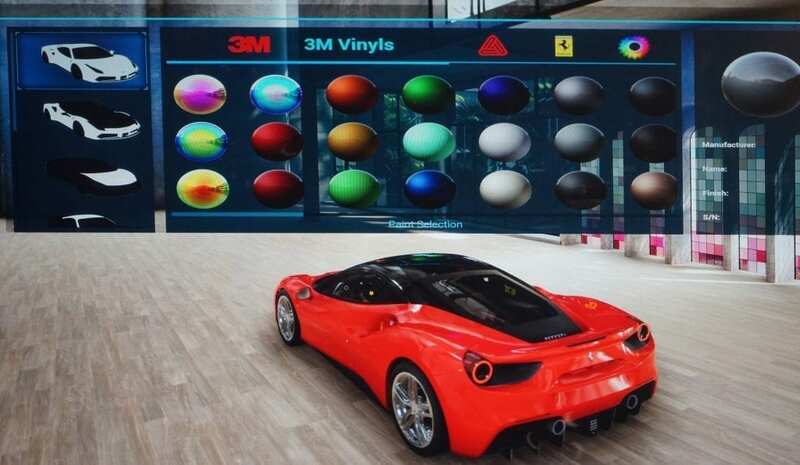 For example, say you are working on a Tesla Model S. Once you have selected a vinyl, you will then see a flashing list on the left of the artboard. 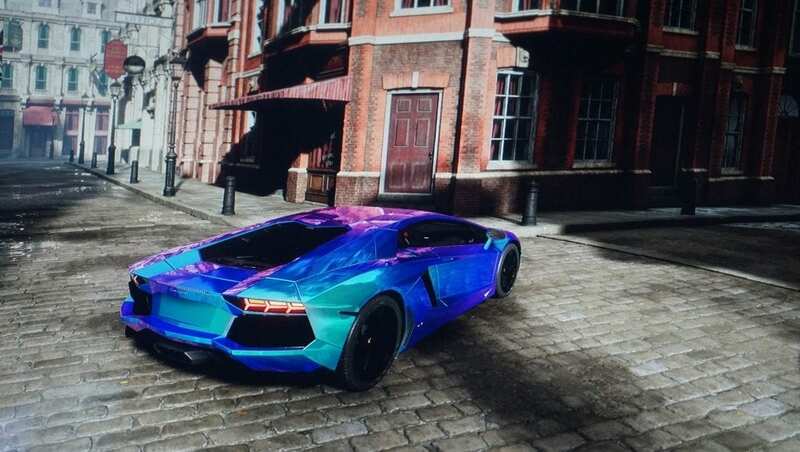 As you scroll down, you will be able to see the certain areas of the car that are able to be edited. This feature ranges nearly to every specific part of the vehicle. Returning to the example, say you selected a matte black vinyl for the main body of your Tesla. In addition to the matte black, you wanted to edit certain parts (hood, mirrors, bumper, etc) to different vinyl style(s). You select the part, and it will flash in a fluorescent blue to show where your edit will take place. Not only does this give great freedom to the user, but it also provides a great way to visualize the contrast of vinyls. We find this control to be absolutely astonishing and will allow you to be able to have full control and view of how your vehicle will look, once completed. In addition to the wide range of colors, the XIX3D also provides realistic color matching. 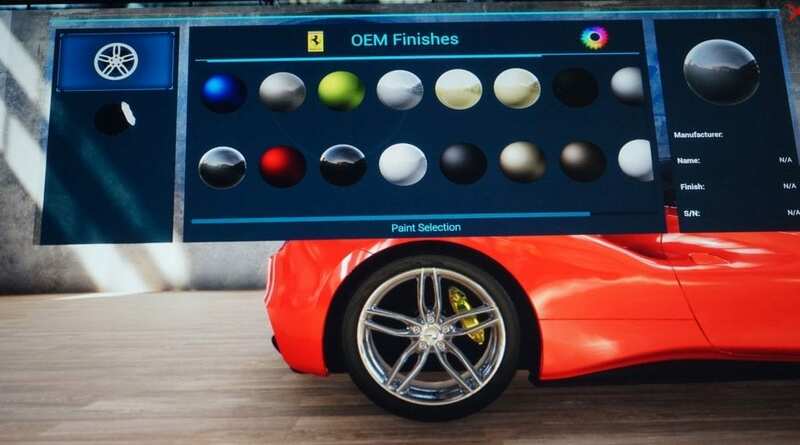 When you customize your vehicle, you will be able to compare the colors to one of our physical vinyl swatch books to the screen and will find that the color swatches are a perfect match. The environment also plays a part in this color matching. 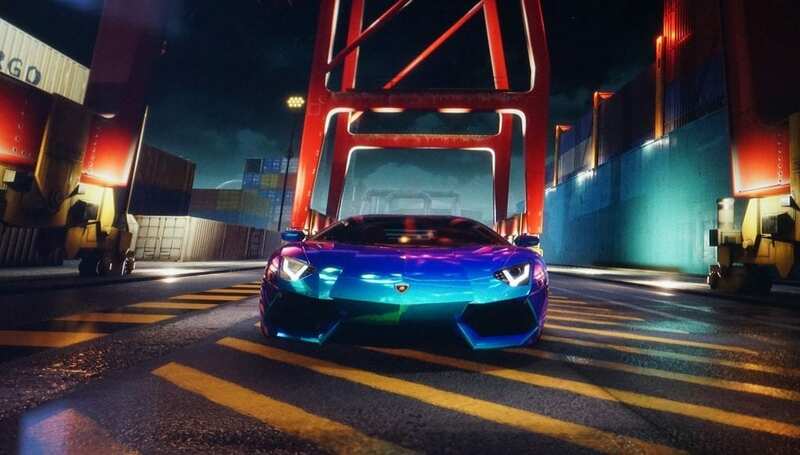 For example, if you selected an environment set in the night, it will also show the shadows and how your car will look at night. No more worrying about the hue or tint of color being a little off from what you ultimately desire. The power of color is proven in and out of the performance of the XIX3D. Another fun tool provided in the XIX3D is the ability to adjust details on the build of your vehicle. The XIX3D allows you to adjust your suspension with the simple drag of a button up or down. 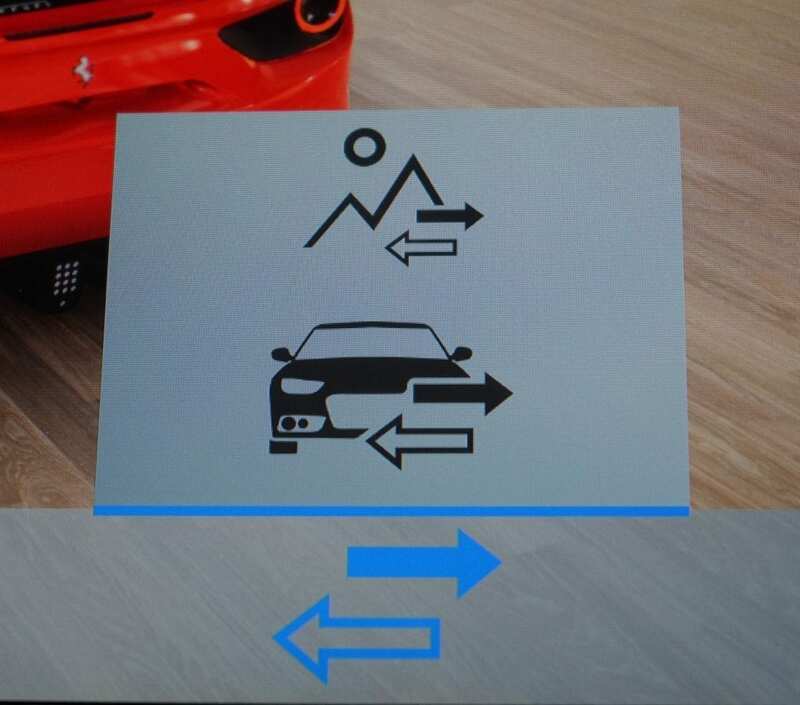 It will then visually adjust the suspension of your vehicle in sync, with your finger. Along with the suspension, they also include the ability to adjust the offset and camber of your tires. 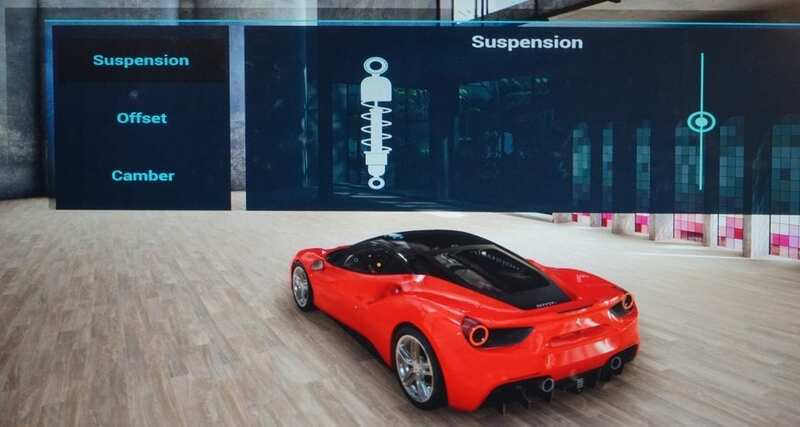 This is a cool feature, that will give you that final look if you were planning to lower or raise your suspension. These are more features showing the incredible detail and research that went into the production of this program, and it’s value for quality. 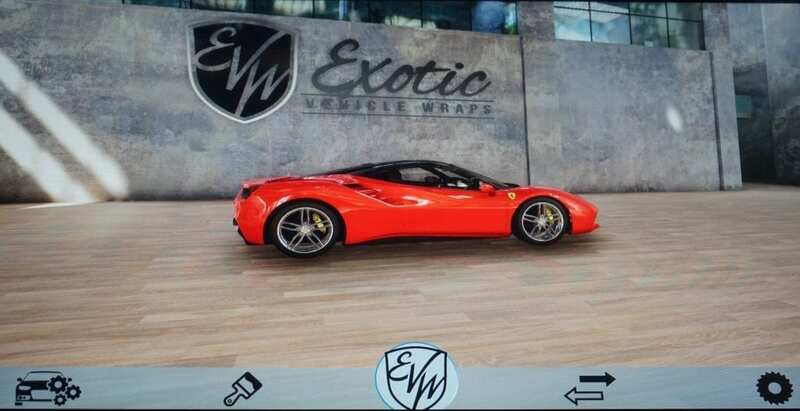 The reveal of the XIX3D has been huge for the “Wrap World” and especially Exotic Vehicle Wraps. The impressive display and variety of options give a whole new edge to custom vehicle wraps. This XIX3D completely changes how we provide our service. 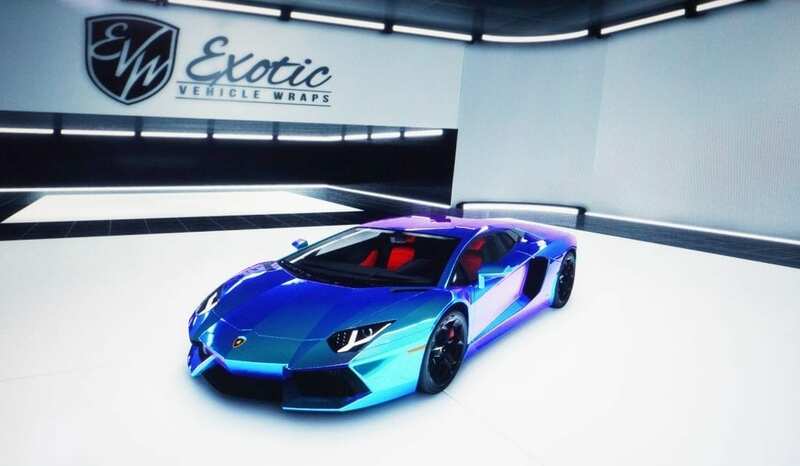 At Exotic Vehicle Wraps, we value your vehicle and perfection; and are confident this will only improve our pursuit of this goal. We believe that the XIX3D will give you the confidence, and satisfaction of a final product before your car even enters our shop.